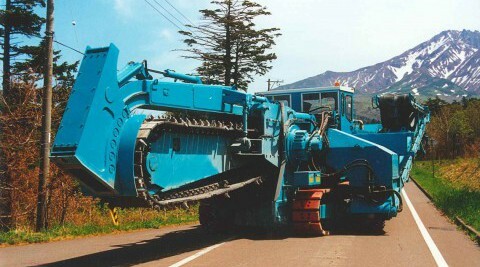 Conventional trenchers have the cutting head operating behind the self-propelled tracked vehicle. 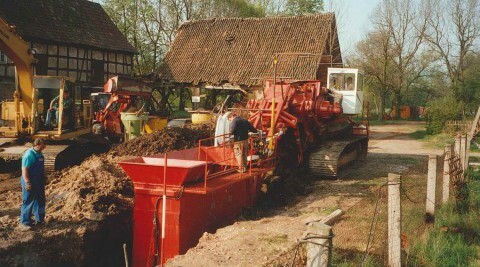 Mastenbroek’s conventional rock trenchers offer two choices of cutting head: centrally mounted or, on some models, offset, allowing you to trench closer to buildings or along highways. For over two decades, Mastenbroek has designed and built rock trenchers that answer our global customers’ specific demands. We are unique in offering two distinct ranges: conventional rock trenchers and reciprocating undercut trenchers HRT Series. Mastenbroek rock trenchers provide the power, precision and productivity our customers rely on, no matter how tough the climate or ground conditions. This compact trencher is packed with features. An offset cutting head and forward conveyor make it ideal for operating in cities and on highways where access is restricted and excavated material needs to be loaded onto trucks for removal offsite. A steerable undercarriage enables curved trench lines and the track lift allows you to straddle raised pedestrian walkways. Suitable for cross country trenching, the 2018 can also be supplied with an offset cutting head and forward conveyor for operating in cities and on highways where access is restricted and excavated material needs to be loaded onto trucks for removal offsite. 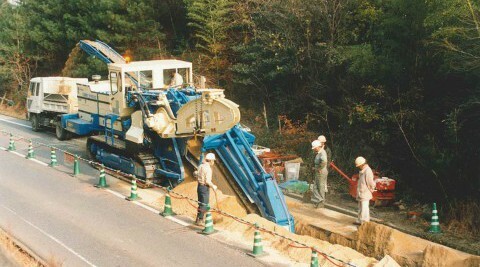 The cutting head is available with a single chain or a double chain for wider trench widths. Suitable for cross country trenching with a central cutting head, the 30/25 can also be supplied with a forward conveyor for operating in cities and on highways where excavated material needs to be loaded onto trucks for removal offsite. Suitable for cross country trenching with a central cutting head, the 4030 can also be supplied with a forward conveyor for operating in cities and on highways where excavated material needs to be loaded onto trucks for removal offsite. 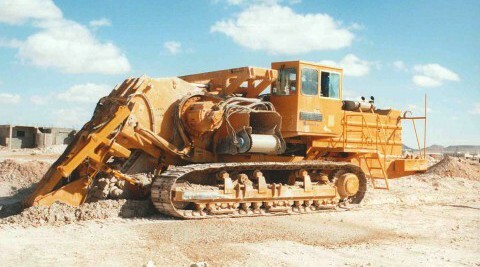 The cutting head is available with a double chain for wider trench widths. Suitable for cross country trenching with a central cutting head, the 5035 can also be supplied with a forward conveyor for operating in cities and on highways where excavated material needs to be loaded onto trucks for removal offsite. The cutting head is available with a double chain for wider trench widths and this machine has the capacity for deeper trenching. At 760hp and weighing almost 90 tonnes with a powerful oscillating undercarriage, the 7045 is proven over arduous cross country terrain in demanding climates. 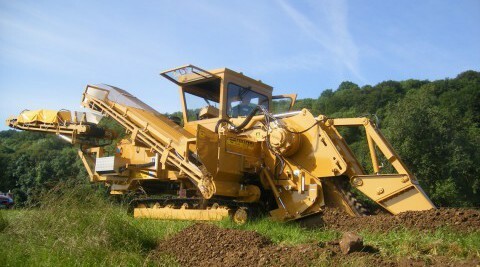 A dual motor drive on the cutting head enables both deep and wide trenches, when fitted with laser control this heavyweight machine will excavate a precise trench to laser accuracy for applications such as gravity flow pipelines. Our heavy-duty undercarriage is designed to transmit the powerful digging forces and traction required for the cutting picks to penetrate the rock. Oscillating tracks incorporated on our larger trenchers improves stability and allows trenching cross country on uneven ground. Steerable undercarriage, standard on our smaller trenchers, offers improved curved trenching. Optional side tilt, or track lift, keeps the trenching head vertical on cross slopes or when straddling raised pedestrian walkways. Both systems are self levelling.